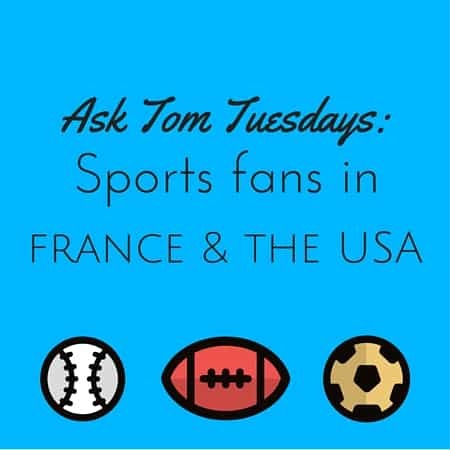 Since I started Ask Tom Tuesdays, featuring my French husband Tom, he’s amassed a bunch of questions that don’t warrant their own post but still deserve answers. 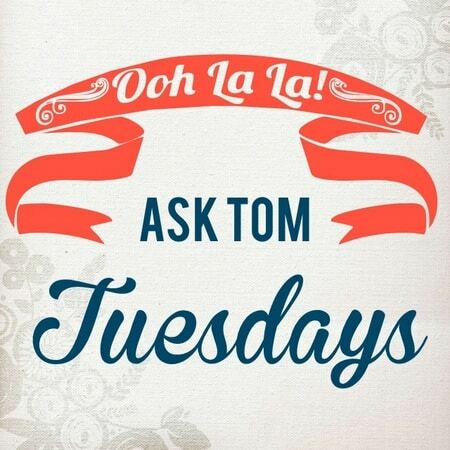 So I’ve grouped them together for today’s Ask Tom Tuesdays. Here are 7 quick questions and answers. New here? This is my French husband’s series. I’m often asked what my husband thinks about American (and French) culture, food, the people and more. 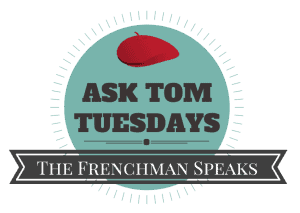 Curious minds want to know what French guys think about all kinds of things, so today Tom is back answering some quick questions for you. Well, quick-ish. Please note: Tom’s mother tongue is French and I don’t edit his posts in an effort to keep them as authentic as possible. He’s also not a blogger, so if you enjoy his series, please let us know in the comments and of course submit any questions you have for him here on my contact page! 1. 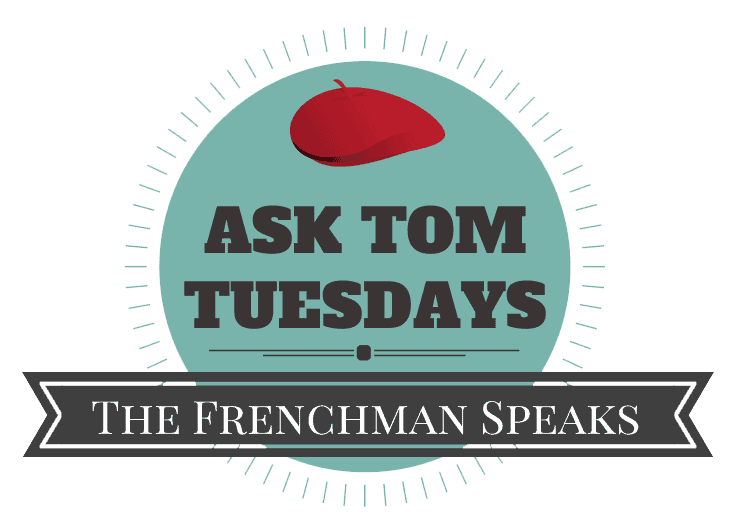 Why do French people pretend they don’t speak English when tourists ask for help? I don’t really think French people pretend they don’t speak English when tourists ask for help. First, you have to remember that most of French people don’t speak English even though a pretty good amount of them are able to understand a bit (when you talk to them slow and really enunciate!) and can manage to talk with a few basic words. So I think that what can happen in such a situation (being asked for help) is that the French person doesn’t understand the question (then there’s just no way to help) or does understand the question but doesn’t think he/she is able to actually answer with his/her very limited knowledge of English. As a result, in some cases I guess that instead of being very embarrassed or struggling a lot to just give an incomprehensible piece of information, a French person would choose to just say he/she can’t help because he/she doesn’t speak English. So just try to remember that people don’t do that to be rude (most of the time, although there are jerks everywhere) but they just aren’t able to really answer (even when they do understand the question). And also important: If you want to ask for help, try to at least say « bonjour » first (in French, even if it’s the only thing you know. It shows a bit of respect towards the person you’re asking for help) and then ask your question slowly and enunciate. You might also get a better chance of getting an answer if you ask younger people (20’s or 30’s). 2. What’s your favorite traditional French dish? 3. 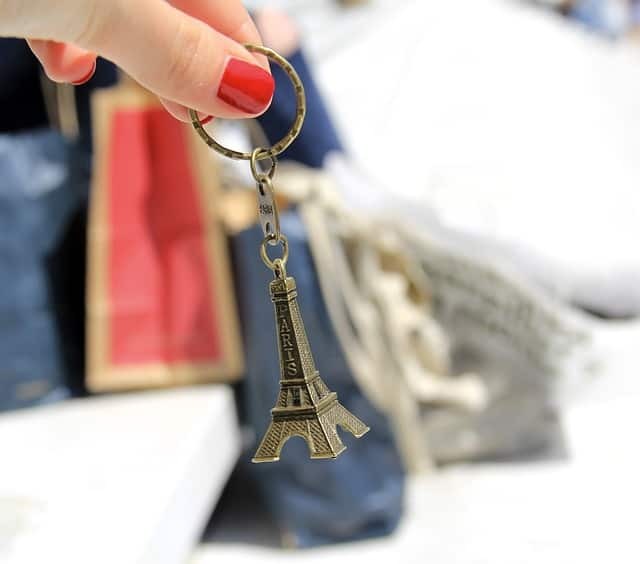 Do the French really say ooh la la? Tom’s already written about that here! 4. What’s your favorite “American” food to eat when you’re in the US? And I really fell in love with the bacon, scrambled eggs, sausages, omelets… and I also love French toasts (which despite that name we don’t eat that much in France, we actually call that « pain perdu ») and pancakes of course ! I haven’t changed my habits while in France, but whenever I go on vacation to the US, the American breakfast is really something I look forward to ! I would also add burgers in general (you can find good burgers in France, but the best ones I’ve had were always in the US). 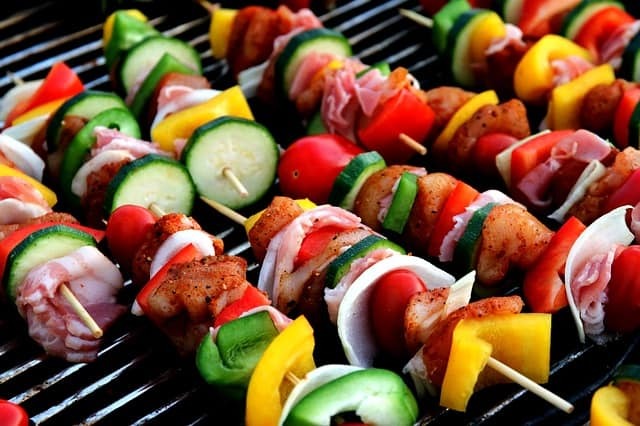 And finally BBQ, not only for the food, but mostly for the general experience of having a BBQ in the US (and prob because in France we don’t have hot dogs and burgers with BBQ and we don’t really invite the neighbors in the afternoon !). 5. What do you think of Americans speaking French? Are their accents cool? I love when Americans speak French ! 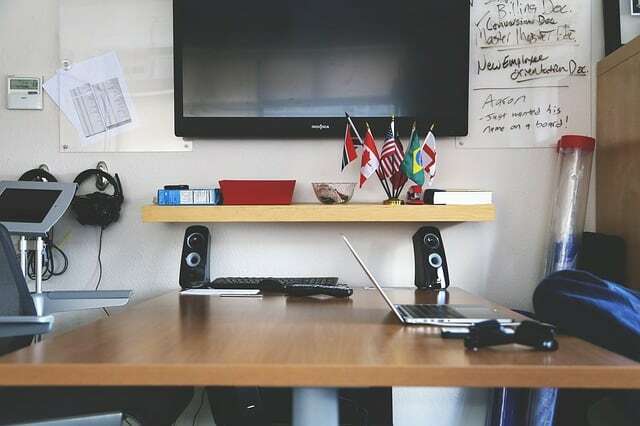 First, if I hear an American speaking French I feel proud, because it means that that person cares enough about my country, culture, that he/she made the effort to learn its language and communicate with it, so it’s always something I really enjoy, no matter if the accent is huge or minor. 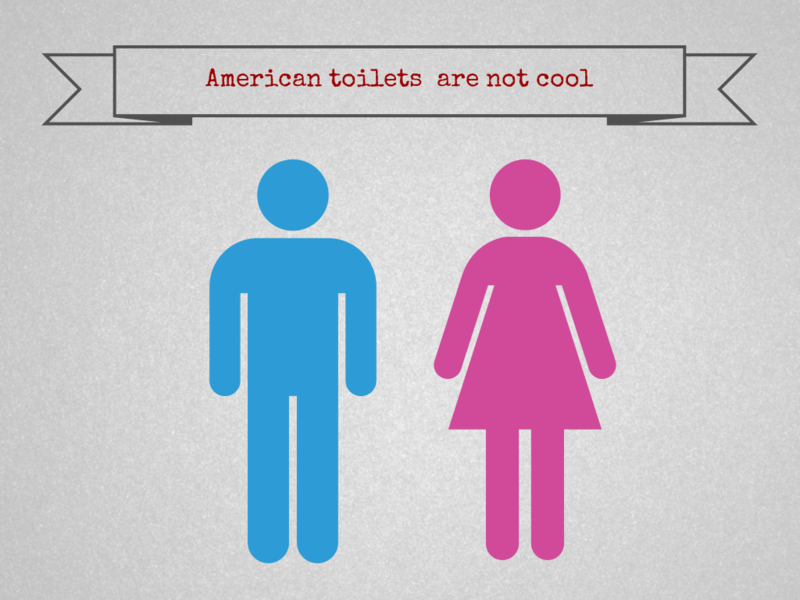 I do think the American accent is cool, and I’m not the only one. Funny enough, as I’m writing this piece I’m also watching a French basketball game (yes I’m multitasking), and the commentator is actually American — George Eddy. He’s been a commentator on French TV for years now (probably around 20 years). He obviously speak French, but he still has a huge American accent ! This guy is very popular, and his « very american » accent is actually one of the big reason for his popularity ! People love listening to him (and he’s majorly credible about sports that are really developed in the US, such as basketball). 6. What’s one aspect of French culture the US should adopt and vice versa? I think the US should try to develop a better healthcare system. I’m not saying here the French system is the best, but I do think there’s something very wrong with the US when I see a huge difference in the price of medicine and the price of health insurance ! Plus the fact that except if you are lucky enough to have great coverage from your company, having to always wonder how huge the bill is going to be or even if you should go to the doctor because you’re not sure you can afford it. And that many people lose coverage for their family if they suddenly lose their jobs. That’s not right. On the other hand, one thing France should get inspired from in the US is the care for customer service. It’s difficult in France to have a really good customer service experience. That’s really something that French people would appreciate. 7. Do French people like American TV shows & which ones are the most popular in France? Which are your faves? Yes, French people love American TV shows ! I don’t know the exact figures, but I’d say that around 60 to 70% of the TV shows broadcast here are American (I’m talking about the « story shows », not the talk shows, which are almost only French). The mainstream channels broadcast popular shows such as The Mentalist, Person of Interest, CSI, NCIS. On those channels the TV shows are often one season behind the US. Cable channels (the ones that are not free) usually offer the best quality shows like House of Cards, Game of Thrones, Mad Men, The Walking Dead… You can almost watch all of the popular American shows on French channels. In most cases on mainstream free channels, they’re dubbed (on the cable channels you can pick between the original version with French subtitles or the dubbed version with French voices not matching up to the English speaking lips on the screen). But more and more people are getting used to watching American TV shows on the internet in streaming, so the channels try to offer on demand TV shows the day after their release dates in the US, although that option is usually not free. My current favorite American TV shows are Game of Thrones, The Walking Dead, Vikings, Brooklyn Nine Nine, True Detective and Fargo (waiting for season 2 !! ), The Knick and Homeland. As always, a big thanks to Tom for taking the time to write on my blog. And if you like his series Ask Tom Tuesdays, would you take a second to let him know in the comments? Thanks so much for writing this article Tom ! I agree with you on your views about the American health care system. I have lived through the nightmare of the American health care system. I am a cancer survivor. I was diagnosed with stage 3 cancer in my neck several years ago. The surgery was extensive and I lost a chain of lymph nodes and the tissue around the area. I was in a coma for two days and in the hospital for one month. I was wiped out financially and lost everything and I was left disfigured from the surgery. After my hospital stay I had radiation therapy with further damaged to my skin and jaw bone. The radiation constricted the blood vessels in my neck. This placed me at a very high risk for a stroke. I had to fight to get the surgery that I needed to have to survive the disease. I had to wait several months before my surgery was approved. Once approved, I had a team of brilliant doctors and the best of care. The cancer never came back. But I could not get the insurance company to approve the post cancer care that I needed. It was an ongoing battle for several years. During that time my condition from the radiation damage became worse. It affected every area of my life as I couldn’t get the right medical care. After a major battle for several years I finally received my reconstructive surgery. I had the best plastic surgeon and I was very lucky. I still have one more reconstructive surgery to go through. But many other Americans are not so fortunate and have been severely maimed by Cancer of the Head and Neck. Cancer care and reconstructive surgery needs to be accessible to all victims of the disease. Many people don’t receive it because of the high cost. This is because the bone and skin tissue begins to die after radiation causing severe complications. The surgeries needed are very complicated. It takes a specialist to do them, most plastic surgeons won’t touch a victim of head and neck cancer. The USA has incredibly brilliant doctors. I would like to see more of them given the opportunity to heal those who need their specialized skills. I am one of the lucky Americans, my doctors are incredible people who have worked very hard to save my life and put it back together. I want the same for everyone ! Blessings to you and your lovely Diane ! Thank you again Tom. We always enjoy your insights! #5 is such a great answer! Love it! We found a lot of people in Paris that were happy to be of assistance, including assistance from those who decided we needed help and offered it without being asked. your advice about asking young people may be correct in general, but we received help from older people as well, including and elderly (more elderly than us, even) gentleman in Montmartre who walked up to us and helped us locate what we were looking for. Another time a middle-aged couple offered us Metro tickets good for the rest of the day because they weren’t riding anymore. Do those tourists appreciate things like that. Yes indeed! As you pointed out, you can find jerks anywhere. But my experiences in Paris have been very positive. Still watching the Walking Dead? It’s my absolute favourite!! I Carolyn, Yup! still watching 😉 it’s one of my favorites as well. I was pretty shocked by the season premiere!! even if I had an idea about that part of the story unfolding since I also read the comics! and I really like that because the story is very similar yet there are a few differences between the TV show and the comics. In order to not spoil the narrative I only buy the “compendium’ comic books (which are books that compile a few chapters of the story) that way I’m never too far ahead of the tv show, and even sometimes behind.